Swimming pool renovations and enhancements… water features, waterfalls, pool bars, outdoor kitchens … Southern Scapes is the Outer Banks choice! Just like any other part of your home, your swimming pool needs a makeover from time to time. Ready to bring your pool back to life? Southern Scapes Pool & Landscape Design of the Outer Banks and Currituck NC offers complete, customized swimming pool renovations and enhancements with your goals and budget in mind. Renovations and enhancements are not limited to just re-doing a pool deck anymore – it’s so much more! Let Southern Scapes Pool & Landscape Design of the OBX help bring your drab pool back to life by adding hardscaping, landscaping, water features, or – our increasingly more popular option – an entire poolside bar or outdoor kitchen. Not only will even the smallest changes make a difference – these features add greater enjoyment and value to your property. Southern Scapes Pool & Landscape Design is a family owned and operated company with more than 50 years combined experience. We believe in doing the business “the old fashioned” way and do most of the work ourselves … and we guarantee the best in quality, design, and service to our clients in Dare, Currituck, Camden, Chowan, Pasquotank, Hyde and Perquimans Counties. 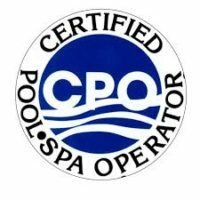 We offer not only new pool installations, but can design a unique plan to bring your existing swimming pool to perfection. Call us Today to Get Your Project Going! Get design ideas, tips and inspiration for your new swimming pool!